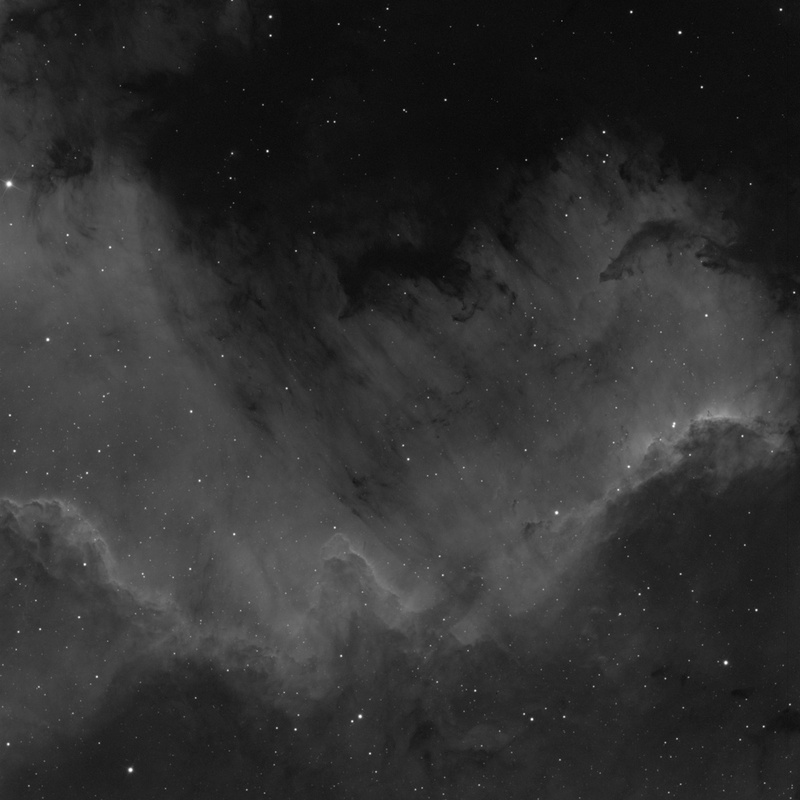 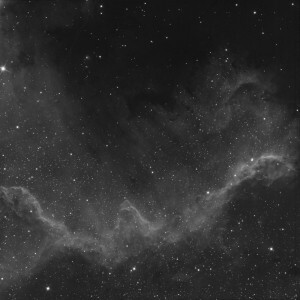 The Cygnus Wall is in the southern area of NGC7000 also known as the North America Nebula. 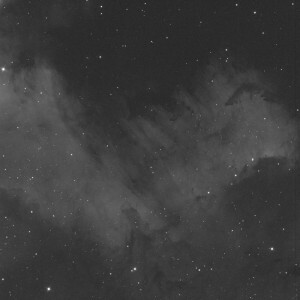 It is approximately 1800 light years from Earth, and is in the constellation Cygnus. 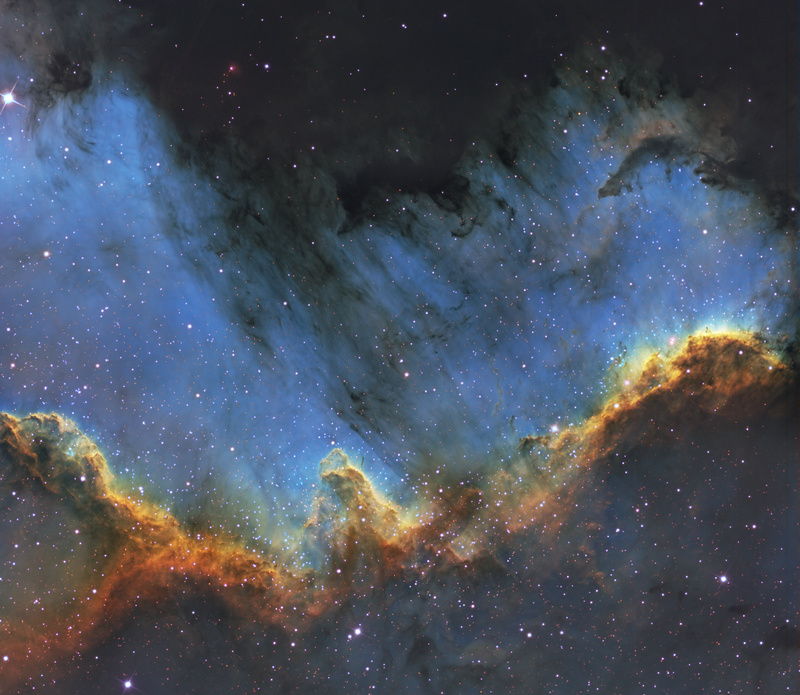 The Wall is an energized shock front and contains the most concentrated star formations in the nebula. The size of the North America Nebula is about 4 full moons.